When using torch-on felt, your board should have its flame-retardance ‘built-in’ rather than be post-treated. If it is post-treated, you run the risk that it will not be flame-retardant in the centre, meaning that if it is cut or damaged, its reaction to fire could be different to what the product originally promised. Individual SMARTPLY FR OSB wood chips are treated with Zeroignition® technology during manufacture. This water-based, non-toxic, environmentally friendly solution ensures fire performance whilst maintaining structural integrity. CE marking proves that your product has been assessed and meets EU safety, health and environmental protection requirements. However, not all CE marks should be taken on face value. Some manufacturers treat their boards for flame-retardance post manufacture, meaning that the board has now been altered and the original CE mark is invalid. The fact that SMARTPLY FR is treated for flame-retardance during manufacture means that its CE mark as is valid in application as it was at the point of manufacture. The UK is one of the greatest consumers of timber products in the world. This puts a huge demand on supply chains and means that more than half of the UK’s timber is imported. For this reason, it’s important to ensure you are confident in each link of your chosen board’s supply chain. Ignoring or not questioning your products’ supply chain could leave you vulnerable to the use of illegally sourced timber, or simply a non-sustainable product. Luckily, SMARTPLY FR’s supply chain is one that we’re very proud of. 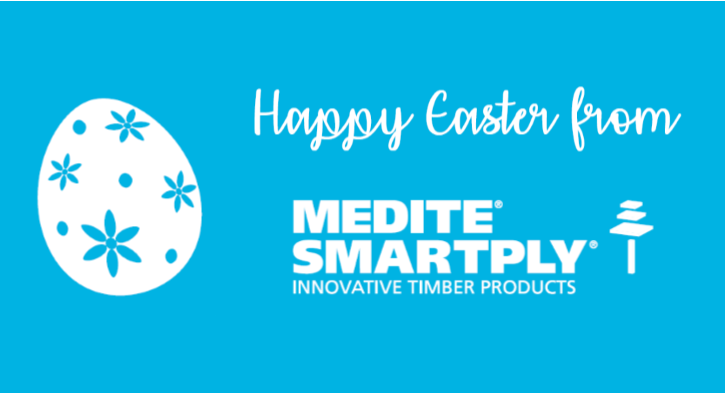 In fact, MEDITE SMARTPLY manufactures all its timber panel products from fast growing pine, grown in our own sustainable forests in Ireland. SMARTPLY FR, like all our products, is Forest Stewardship Council (FSC) certified, meaning that when you use it, you’re helping to combat the trade of illegal tropical plywood, made from wood sourced from unsustainable forests. Definitely something to be proud of! SMARTPLY FR is made in accordance with EN300, which makes it a reliable choice for roofing, flooring and wall sheathing where strength, moisture resistance and flame-retardance are of the utmost importance. It also maintains the low formaldehyde emission standard for Europe, level E1, which is unchanged by Zeroignition®. This is a key consideration for public spaces, and sensitive environments like schools and hospitals. So, when looking for your perfect board for flat roofing, work smarter, not harder, and choose SMARTPLY FR.